Steven Barnett is Professor of Communications at the University of Westminster and an established writer and commentator on media issues, specialising in media policy, regulation, journalism ethics and broadcasting. He has acted as specialist adviser to the House of Lords Select Committee on Communications for the last five years, most recently for their inquiry into Investigative Journalism published last year, and was twice called to give oral evidence to the Leveson inquiry. 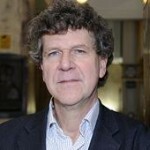 Over the last 30 years, he has advised a number of government and opposition spokespeople, given evidence to several parliamentary committees as well as the European Parliament, and has directed numerous research projects on the structure, funding, and regulation of communications in the UK and other countries. He was for many years an Observer columnist, writes for the national and specialist press, and is the author or co-author of a number of books. 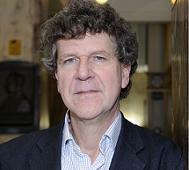 His latest book, The Rise and Fall of Television Journalism, was published by Bloomsbury in November 2011. Email: s.barnett@westminster.ac.uk / Twitter: @stevenjbarnett. 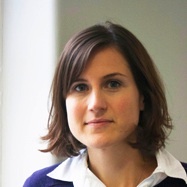 Judith Townend was research associate on the project from September 2013 to September 2014. Her doctoral research, based at the Centre for Law, Justice and Journalism, City University London, explores defamation and privacy law, freedom of expression, and journalistic practice in England and Wales, 2008-12. In 2011-12 she led the ‘Open Justice in the Digital Era’ project at the Centre for Law, Justice and Journalism, which facilitated discussions about judicial and courts procedure and policy between leading journalists, lawyers and academics. In 2013-14, she also worked as a lecturer in the department of journalism at City University London. Her research interests include media and communications law and policy, hyperlocal and start-up journalism and digital open justice. Twitter: @jtownend.